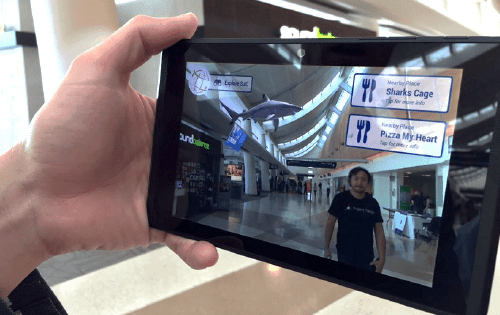 Aisle411 deployed an Indoor navigation and augmented reality experience at the San Jose Airport working with the Project Tango team. 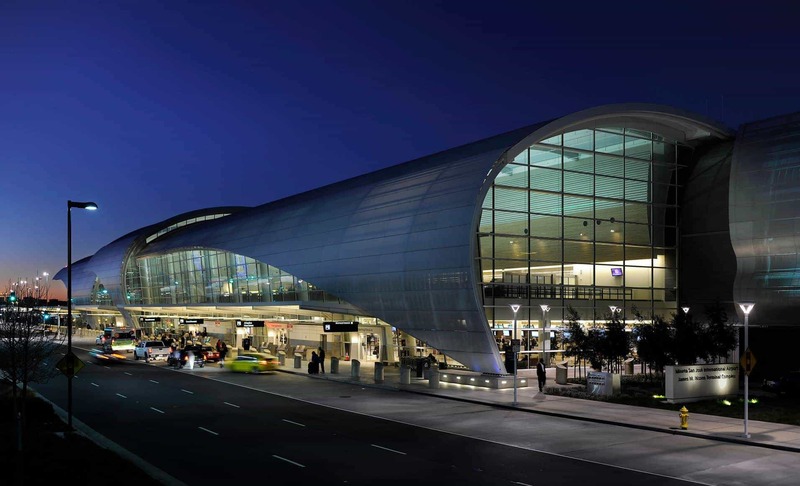 The app is designed to provide navigation assistance, enhanced experience, and drive traffic to restaurants and shops and Aisle411 plans an aggressive solutions offering extending to airports globally. 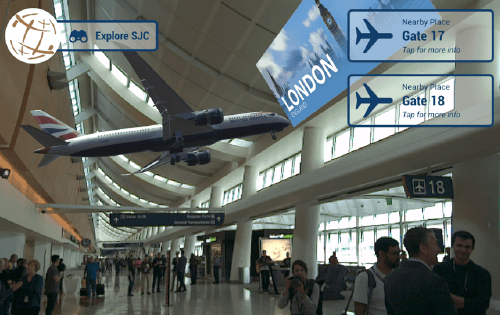 "Captivate guests with 3D augmented reality experiences and place virtual objects and content throughout the terminal for guests to discover and interact." 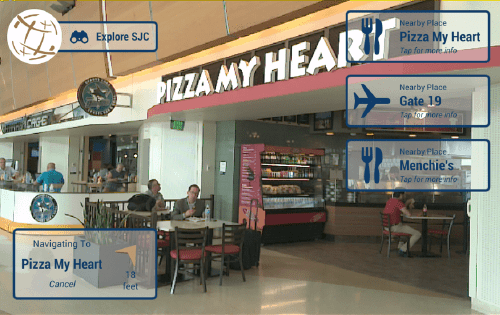 3D augmented reality on consumer goods throughout the terminal.